MEDALLION: Poppy-colored serpentine disc medallion etched with spiraling rays. ACCENTS: Goldstone nuggets and smooth rock quartz crystal ellipses. 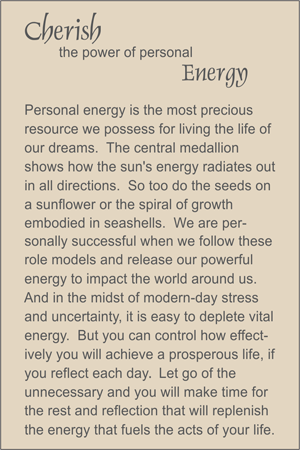 COMMENTS: Give this TRULYHUMANmedallion to someone who truly radiates energy or someone who could use an extra boost.